It is one of the funniest films ever made, features some of the most amazing performances ever put to film, and was directed by an artistic genius having fun. What else could you ask for? Peter Sellers playing THREE of the most hilarious characters in cinema history!?! Done. In the early 1960s, the Cold War reached a fever pitch in America. Americans fears of the Soviet Union and its nuclear capabilities were quickly becoming very real threats. One of the moments of American’s fears manifested was the Cuban Missile Crisis, when American President, John F. Kennedy, was in a nuclear standoff with Cuba’s communist leader, Fidel Castro. The event ended being resolved without firing any missiles, but America had come to the brink of nuclear war and had narrowly escaped. The anxiety that Americans faced in the past had escalated to a point where nuclear war seemed right around the corner and it was just a matter of time before someone fired one. Tensions could not have been higher. These tensions were perfectly satirized in Stanley Kubrick’s film, Dr. Strangelove or: How I Learned to Stop Worrying and Love the Bomb. In this film, the anxieties surrounding the imminent threat of war become too much for General Jack D. Ripper, who decides that he will force America into a nuclear war with Russia by issuing the command for nuclear bombs to be deployed. Through certain concessions in the plan Ripper implements, Plan R, it is made impossible for anyone besides Ripper to cancel the order, thereby leaving government officials without many options. This leads to all sorts of efforts to thwart Plan R from taking place by a host of unbelievable/all-too-believable characters. 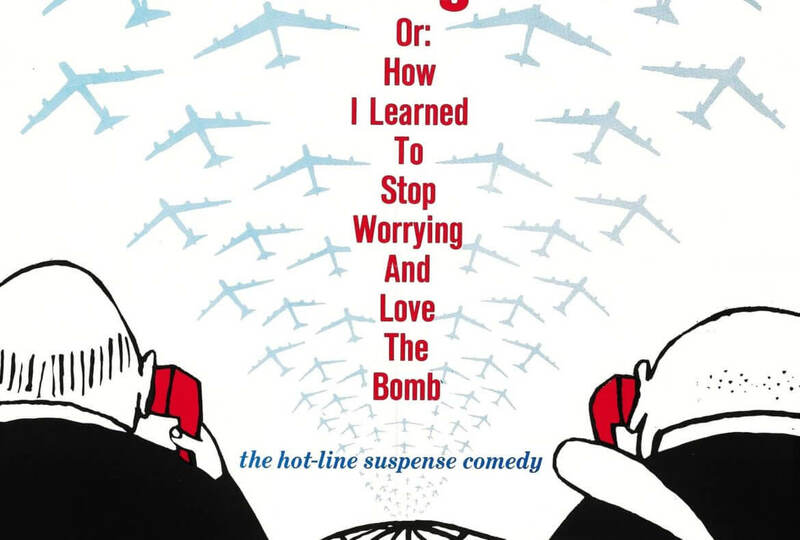 Not one performance is lacking in Strangelove but that does not stop the incomparable Peter Sellers from stealing the spotlight in every single scene he is in with any of the the three different characters he played. The sardonicism of the film is so thick and palpable you feel like it is about to leap off the screen and slap you in the face, and a few times I believe it actually does. This cynicism and satire, however, when put in the context of the 1960’s is well founded and would have been twice as potent in that era. Ripper’s character represented many individuals, possibly many of those who watched The Manchurian Candidate, who believed that the communist plot in America ran very deep and that the Communists were capable of compromising Americans in ways they would not have even known about until it was too late. Ripper’s example of how the Soviets were accomplishing this was by the fluoridation of America’s water supply. While the character of Ripper was based on many paranoid individuals that most certainly existed, Kubrick portrays him as a psychopath who is blinded by his paranoia. One of the obvious statements made by Kubrick in the film was that the paranoia surrounding the Cold War was dangerous if it was left unchecked. The paranoia and anxiety caused by the threat of nuclear war in the film actually causes, not only nuclear war, but the annihilation of the entire planet. With every country in an arms race to build bigger, more effective bombs while holding their nervous, shaking fingers on the trigger was just a recipe for an event not unlike the events that occur in the film. This is not unlike the role of fear in our everyday lives. Much like the fear of nuclear holocaust leads to actual nuclear holocaust in Strangelove, our own fear often becomes its own self fulfilling prophecy. How have I seen fear leading me to poor decisions in my life? Has fear been helpful in my life thus far? How is comedy such a powerful tool? How much cynicism is too much cynicism?